Fridays were chapel day at the private school I attended in elementary school. We would gather by grade in the church’s sanctuary, Pastor Barry would give a short message, and we would sing songs. We would sing different hymns we had learned, songs about the books of the Bible. I would sing along with all of them, few ever really connecting with my heart. But every now and again, we could talk Mrs. Montag into singing Pass It On, and then I would sing not just with my lips, but with my heart. I knew that there was something more than just words and melody happening in that moment. There was a hint of the Divine, showing me the path to a faith that went beyond piggy-backing on the faith of my parents to something that was truly my own. We would sing “It only takes a spark to get a fire going.” That melody was a spark. Renea told me that the best place to play in all of the music department was the stairwell. She was able to secure a key from one of the professors so we could get in well after the building was locked down for the night. We rolled one of the pianos from a practice room and carefully put it under the stairs in that perfect echo chamber. She brought her saxophone with her, and the two of us began to play. We didn’t decide on a key or a tempo or a melodic idea – we just started playing and found our way to one another. In the middle of the night, our church was that stairwell; our hymns, an improvised jumble of notes and rhythms that spoke of longing, of peace, of joy. We shared our hearts with one another in a way that was sacred. In the midst of the questions surrounding my faith during my college years, I found holiness in the music of a dirty hallway. I had been in front of an audience many times before, but on this day it was different. Music had been tainted for a season. I had been told that my enjoyment of playing was idolatry, that I was too full of pride to worship with music. These condemnations shook my faith. They felt in conflict with what I believed about worshiping with my whole heart, but the critics seemed so sure. So as I stepped onto the stage at this new church, I was nervous for the first time in a long time. Could I play these songs of my faith and mean them? Or was that faith so damaged that cynicism was all I could manage? As my hands touched the keys for the first time in too many months, that same spark that had ignited in my young heart was fanned into a flame once again. What saved your faith? 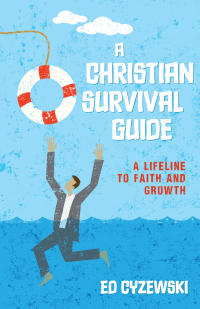 Write a blog post answering that question and then visit this post at Ed Cyzewski’s blog to learn how you can join the synchroblog or to read additional posts to celebrate the release of Ed’s book A Christian Survival Guide. 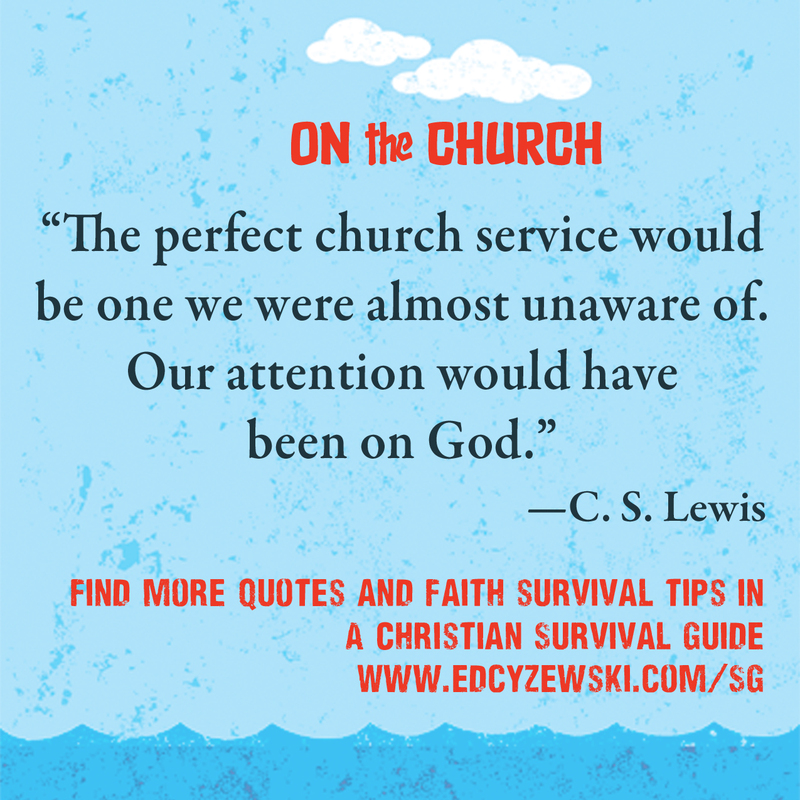 This entry was posted in Books, Writing and tagged A Christian Survival Guide, Ed Cyzewski, faith, music, synchroblog. Bookmark the permalink. I can’t tell you how many times I’vs been led to believe my love and passion for music is an idol. I’ve just recently, in the past couple of weeks, realized how wrong that is. Music is what always brings me back to my faith. It makes me angry how many times I’ve believed that lie. Even when I recognize it as a lie, it still worms its way into my brain. But music is why I believe in God. It’s the constant. I can’t believe people would say that about playing music! So crazy. And to think that music has always been an important part of worship. I mean, it’s all over the pages of the Old Testament too. Music has been such a huge part of saving my faith too, but I think it’s tough for worship leaders because it’s so important for them but playing up on stage opens them to criticism. So basically the most important part of your faith becomes the most targeted and talked about. I’m so grateful you share your gift with others! Growing up, we sang hymns, many of which I still love to sing. But when we came to our current church back in ’99, they were singing Lion of Judah and Days of Elijah; I suddenly stood in the presence of God and poured out praise to Him like never before. It wasn’t long before I joined the band, and I absolutely can’t get enough of making music for the Lord.